The Economic and Financial Crimes Commission has said that 80 per cent of revenues meant for projects in the Niger Delta region always end up in private bank accounts. The South-South Zonal Head of EFCC, Mr. Nnaghe Itam, also stated that a large percentage of projects captured in the budgets of some states in the oil-rich region were either not implemented or abandoned due to corruption. Itam explained that corruption had remained the primary cause of underdevelopment in the region and even in Nigeria. He spoke at a stakeholders’ regional conference organised in Port Harcourt by Social Action, a non-governmental organisation, in collaboration with the African Centre for Media and Literacy and the MacArthur Foundation. The agency’s zonal head pointed out that to achieve any meaningful development in Nigeria, corruption must be defeated. “As a commission, the passion of the Acting Chairman (of the EFCC), Mr. Ibrahim Magu, is to get rid of corruption in all its ramifications if any meaningful progress or development is to be achieved in Nigeria. “Estimates of up to 80 per cent of government revenues and budget allocations end up in private bank accounts of approximately one per cent of Nigerians, who are linked to political power. “As high as 80 per cent of projects mentioned in annual state budgets within the region are either abandoned or never implemented,” Itam said. 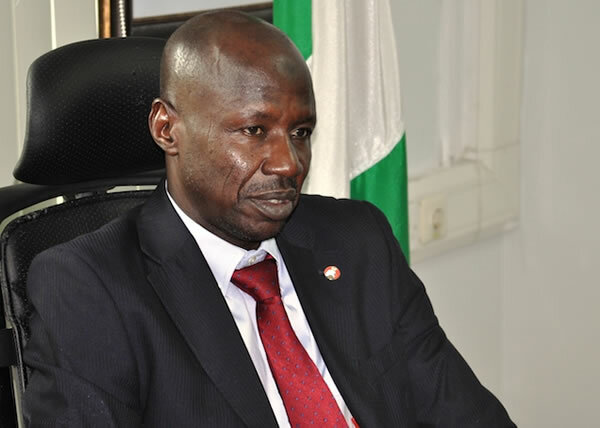 The EFCC head maintained that the commission was intensifying efforts in advocating continuity of projects by successive governments. In her remarks, the Director of Programmes, Social Action, Mrs. Vivian Bellonwu-Okafor, stated that though over N7tn had accrued to states in the Niger Delta between 1999 and 2016, not much infrastructural development was on the ground. She identified corruption, through reckless management of resources, as a major problem affecting the development of the Niger Delta region. “Records have it that over N7tn accrued to the states and local governments in the nine Niger Delta states in 18 years from 1999 to 2016, based on the 13 per cent derivation principle. “We, therefore, believe that the more significant problem of the region has not been primarily lack of resources, but rather lack of proper management or outright recklessness in the manner of deployment and management of these resources,” she said. Bellonwu-Okafor said the purpose of the conference was to promote accountability in creating awareness on mismanagement of public funds by government officials. “Our 2017 Citizens’ Report on budgets of selected states in Nigeria with a particular focus on the Niger Delta region, titled ‘Abandoned Projects’, reveals a continuation of a pattern of very low capital expenditure performances noticed over the years, despite the increasing level of Nigeria’s foreign reserves. “The EFCC in June 2018 had promised to visit the Niger Delta region to investigate abandoned Niger Delta Development Commission projects, prosecute those responsible and recover the public funds embezzled in the process,” she added.